Lalit Shokeen is a popular Indian YouTuber and social media star. He is famous for his comedy videos. He got everyone’s attention when he started making and uploading funny videos on his youtube channel titled LShokeen Films. He was born on 16 March in Najafgarh, New Delhi. Let us know more about Lalit. He posted his first video on his official channel LShokeen Films on 11th June 2015 in which he records birthday blessing for her wife 30th birthday. After some days he started to upload funny Haryanvi video on his channel and after some time, those videos went viral and he became a popular YouTuber in India. His first video results motivated him and then he started making more funny videos. Apart from his official channel he also has another channel Lalit Shokeen Vlogs where he also uploads Vlog. His wife Neha is a Senior Engineer. 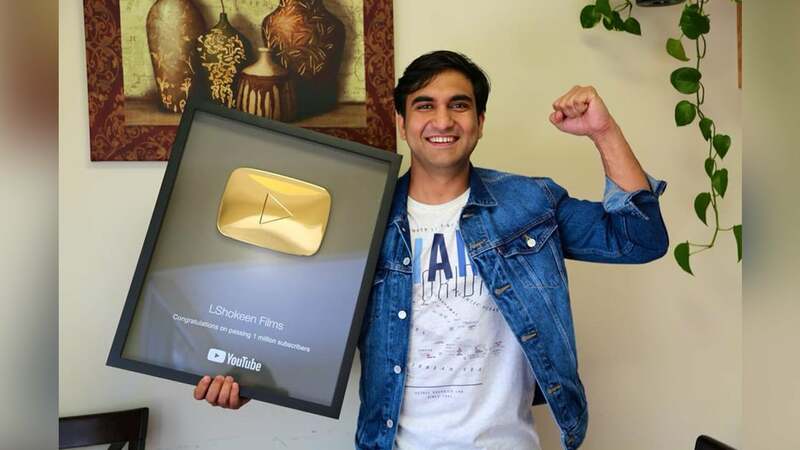 He got is YouTube Silver Play Button in 2017 for surpassing 100K subscribers on his YouTube channel “LShokeen Films“. He currently lives in Clifton Park, New York, USA. These were the latest information about Lalit Shokeen Wiki, Birthday, Biography, Wife, Family & More. As soon as we get more details, we will update this information accordingly. You may share your thoughts with us by leaving a comment below. Thank You! Copyright © 2019 Names Biography. All rights reserved.